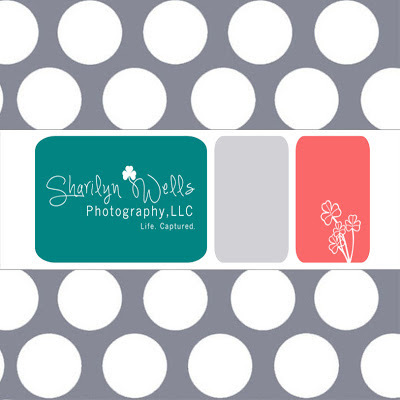 My first logo was a mixture of teal and gray with polka dots — who doesn't love polka dots?! But did it really represent me? No, not really. 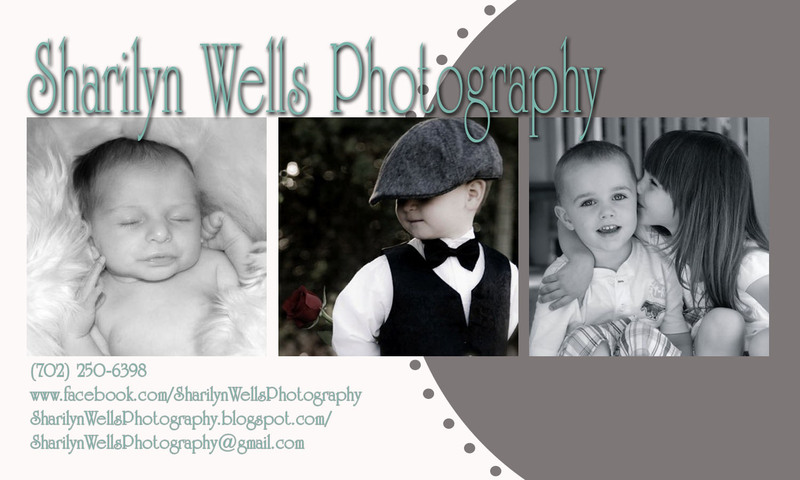 It was just a quick, simple, and pretty way of putting together my business cards. I thought I was pretty cool, toting around this card and handing them out. Now, don't get me wrong. 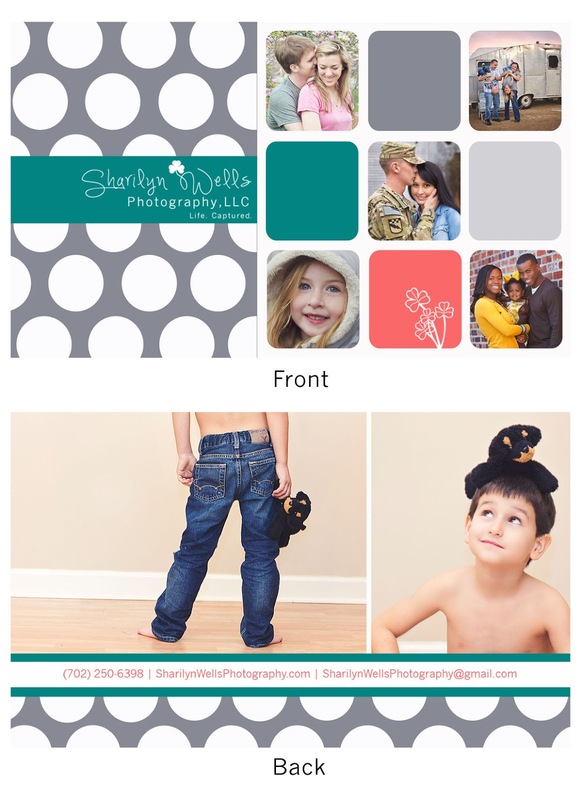 There's absolutely nothing wrong with this business card or putting together a quick business card to start your business, because without these, I wouldn't have gotten half of my clientele! These definitely did their job. After visiting Imaging USA with two other fellow photographers, I realized exactly what I was doing wrong in my marketing. I wasn't representing ME. Face it, when you're in this sort of business, you aren't just marketing the business, you are marketing YOU. The client deals with YOU, the client relies on YOUR talent and skill, and the client trusts YOU. So, market YOU. And that's what I did. I changed up my logo. Not by much, but enough to show who I am. 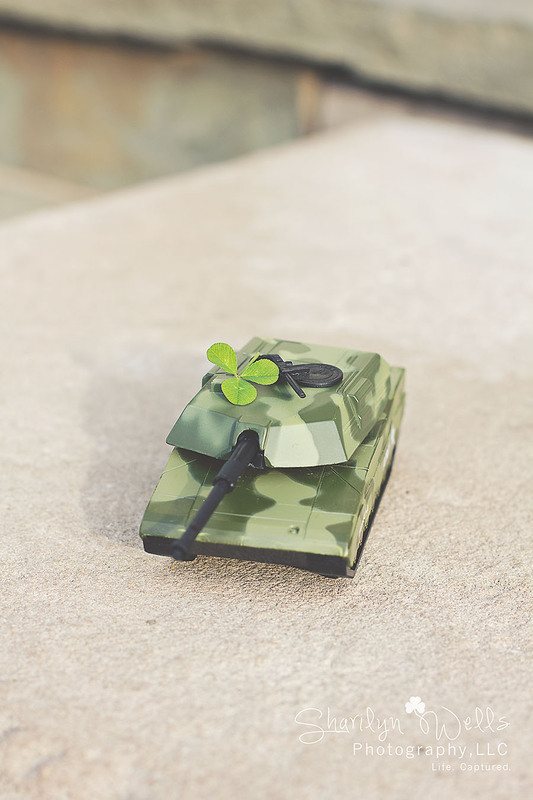 I took my watermark and added one simple little element — a clover. (And of course my motto). Just by doing this, I feel like I'm representing me and my business on a more personal basis. Why the clover you ask? Well, not only are they just adorable to look at, but I'm Irish. I'm a very proud Irish American ... even though I've only visited Ireland once (but I'm working on fixing that). I have a very strong bond with my Irish roots and I wanted to show that in my business. Also, notice that it's just a three-leafed clover. It's not that I hate four-leafed clovers, but what is the meaning behind a four-leafed clover? That's right, luck. 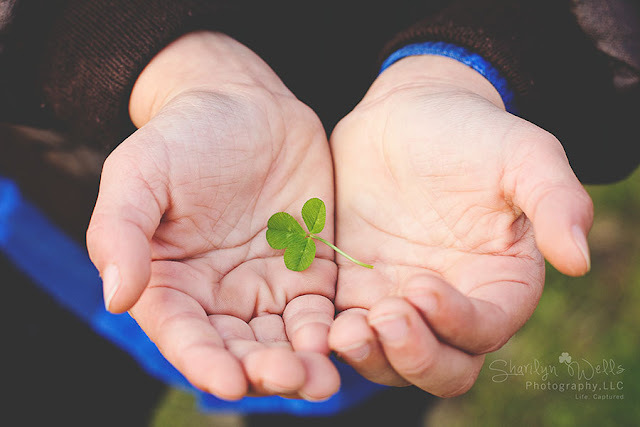 Even though much luck came into play on receiving some of the best and most loyal clients out there, I don't want to rely on my luck (because it truly is sparse!). I want to rely on three basics of why I do what I do: Live, Laugh, and Love. And this is my principle in running my business. I want my clients to live life and remember those precious moments. I want them to have fun and laugh while creating memories. And above all, I want them to love each other and those memories for eternity. 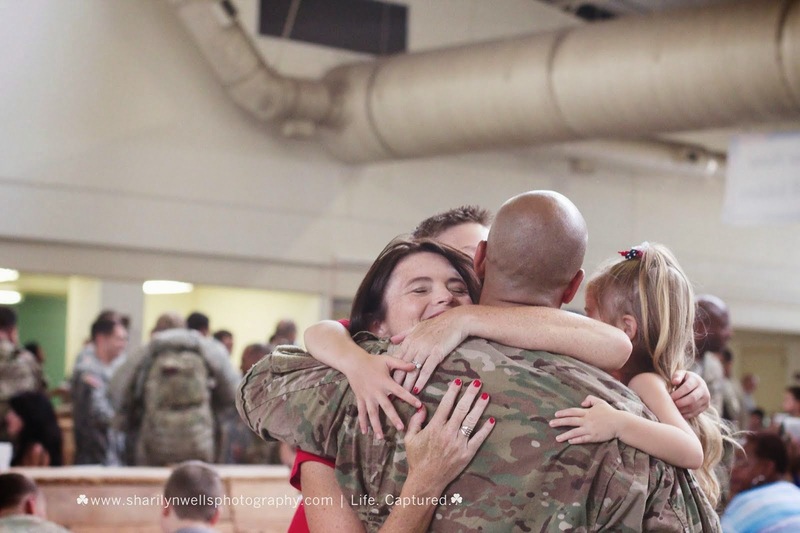 Photographs aren't just about remembering those moments, it's about looking back at those moments and remembering why they were so important to you. There are some photographs of my own that make me smile, cry, and shake my head, but they're memories of how I live my life and how I love everything that has been a part of it. Even though I live in the "now," you can clearly see that my past is very important to me. Even though I was adding a new element to my branding, I didn't want to lose my teal and gray dots, because honestly, my business wouldn't be where it is today without them. So, I revamped polka dots and then added a pop of coral. Not only did I show who I specialize in (couples, families, and children), I also added someone who is going to carry on my traditional roots ... my son. Family is important to me and that's why I work so hard to capture your family's life in photographs.